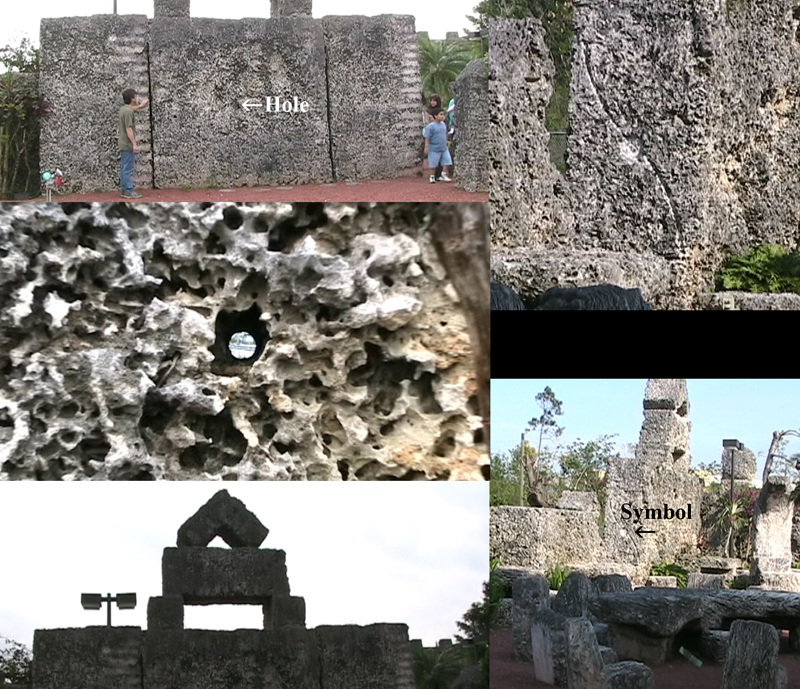 While visiting Coral Castle, during the winter solstice of 2005, the intention was to investigate the entire site in search for any clues of how the building process was accomplished. The reason for the trip to Coral Castle, out of all the great sites in a reasonable distance, Edward Leedskalnin is the only person in our modern era to claim he knew how the pyramids in Egypt were built and left behind the evidence to prove it (34). 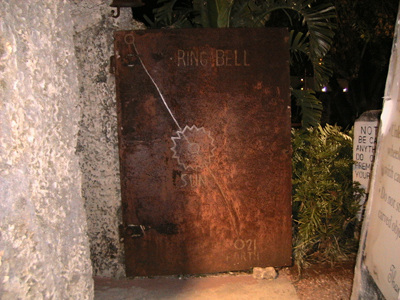 Before the thought of visiting Coral Castle hours of online research was spent on Leedskalnin and the book he had written entitled Magnetic Current (1). At the time in 2005 there wasn’t as much information available on the internet but whatever could be located was taken into consideration before the trip. There were quite a few theories on how he accomplished his mysterious building methods but no one has yet to actually demonstrate how it was done from beginning to end. Some have attempted on a smaller level but still to this day not one single person has accomplished the building feats on the scale of Coral Castle. In the image above on the left is of Leedskalnin before leaving Latvia in 1910 (27). “18-year-old Edvards said to always walking with rifle behind his coats” (27). ”When questioned about how he moved the blocks of coral, Ed would only reply that he understood the laws of weight and leverage well” (11). After examining the site, film, pictures and the hearsay evidence there is only one of two possibilities. Either Leedskalnin was a really good con artist and told stories about how he built Coral Castle, along with several eyewitnesses, or he really had hidden secrets about his building methods. 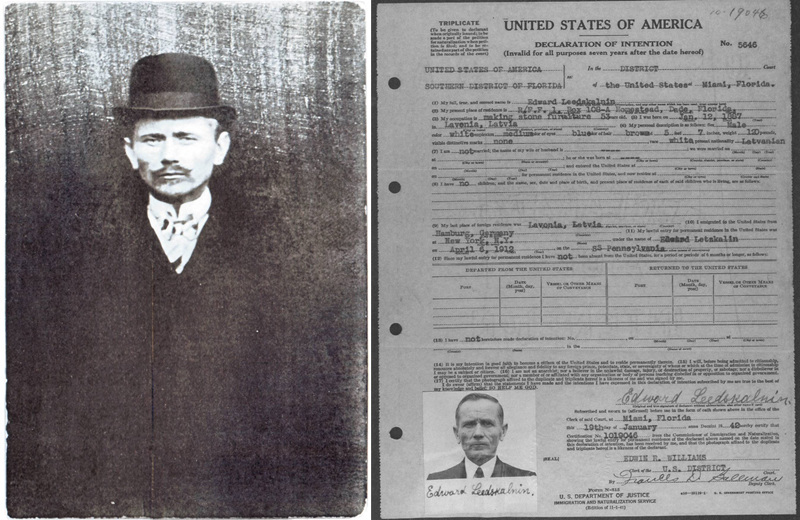 It is said he had a very shady past in Latvia before illegally residing in the US (27). A Latvian article about Leedskalnin claims he was an atheist and a revolutionist with a background which involved criminal activities. There were no signs that he lived this lifestyle while in America. The article mentions Leedskalnin was seeing a woman in Latvia but there wasn’t any evidence of Agnes Scuffs leaving him on his wedding day as claimed. Is it possible he left Latvia to start a new life and used the “sweet sixteen” story to keep his shady past behind? If this were true it seems he would try to stay out of trouble or keep the negative attention away for these reasons alone. When people came to Coral Castle for a private tour he would charge 25¢ (35). In good faith he left it to the person to deposit the money before ringing the bell alerting their presence. He was considered a loner and didn’t live a material life it doesn’t seem he would tell stories for the sake of attention or profits. As he lived in Florida his character did not fit the profile of a criminal minded person. He was considered a very hard working and polite individual who never swore or lost his temper (16). Before he found his way to Florida Leedskalnin searched throughout America for what he called the right land (23). It seems he spent the majority of his time experimenting with magnets, electricity, radio signals and paying close attention to the position of the planets and stars. It was said he was very heartbroken over the breakup of what he called his sweet sixteen and this was his drive for building Coral Castle. Even though he didn’t really talk about his sweet sixteen after he moved Coral Castle to its present day location he remained a single man until his death. 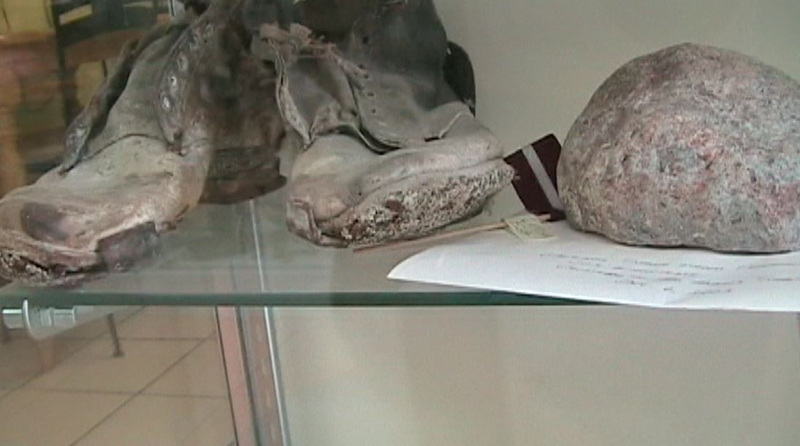 A few years after he died a box of his personal belongings were found (27). Within the box contained some of his belongings and thirty-five hundred dollars in cash. This money was made from selling pamphlets and the admission he charged for tours along with land which was sold and later used for US Highway 1. 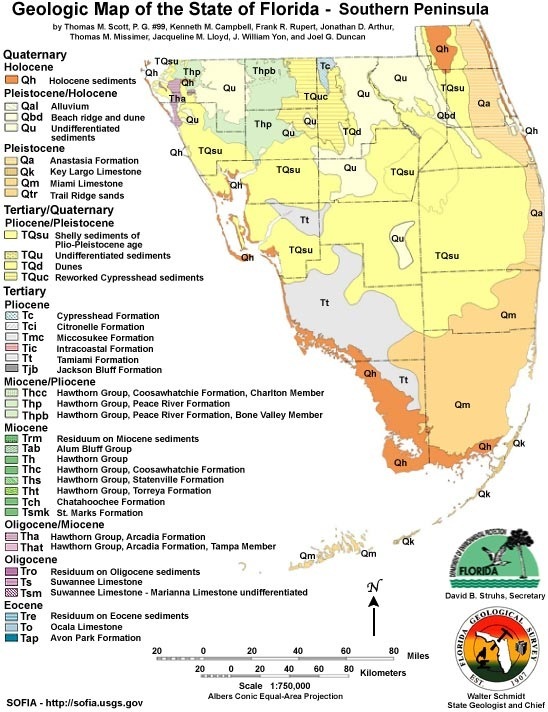 Judging by the information, as he resided in Florida he was an honest hard working person who was very curious about nature’s mysterious forces and he left plenty of clues to prove he experimented in these fields. The evidence seems to indicate he knew something he wasn’t ready to share with the world. 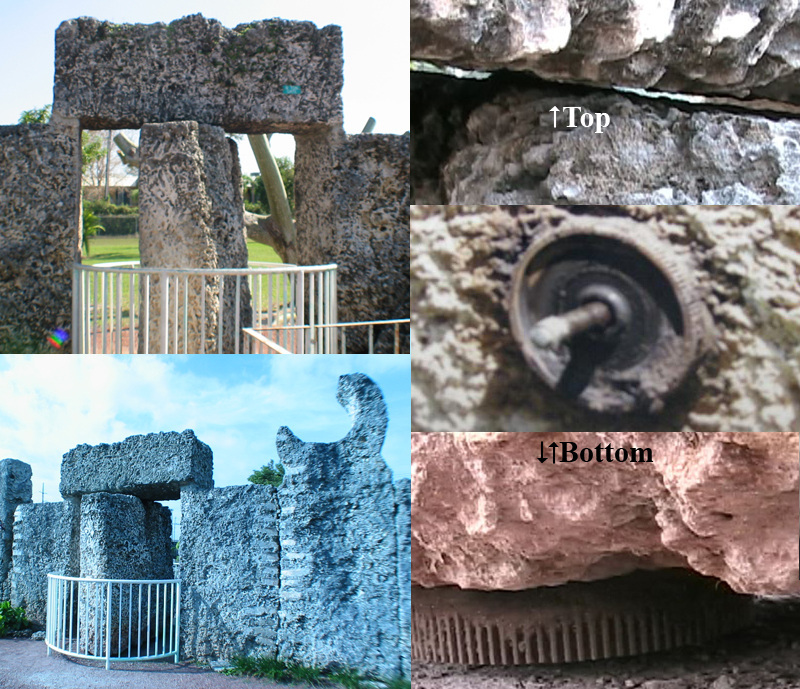 Many think the blocks of Coral Castle are made from coral but in actuality they are made from oolite limestone (9). While in Florida City around 1923 Leedskalnin named his creation Rock Gate Park after a nine-ton gate he constructed (3). It was made from a block of limestone perfectly balanced so it can be pushed open with ease (9). In July of 1986 it was removed after suddenly failing to operate. The engineers from the University of Florida discovered a hole had been drilled down the center of the block (3). A metal shaft was inserted through the hole and rested on a truck bearing. In order to do this repair it required an 18-20 ton crane to lift the gate off the original truck bearing which had rusted causing the failure (2). In a short documentary by Joe Bullard (20), researcher and writer of Waiting for Agnes he mentions, after lifting the nine-ton gate they removed a small pie shaped piece of stone which was mounted to the bottom (21). After the repair the gate didn’t perform as it did when Leedskalnin originally set it in place many decades earlier. In 2005 the 1986 repair failed and the gate had to be repaired once again (3). Even today, after the second repair, the gate does not rotate with the ease it originally did. When the gate was created by Leedskalnin there wasn’t the use of a crane or the help from a crew of workers. For this fact alone, it seems obvious, when he made the claim he knew how the pyramids in Egypt were built he must’ve had some idea of their forgotten ancient knowledge. Keep in mind, nine tons is equivalent to about three average size automobiles. The gate isn’t the largest of the numerous blocks on site. He somehow single-handedly cut and moved a thirty ton block of limestone. 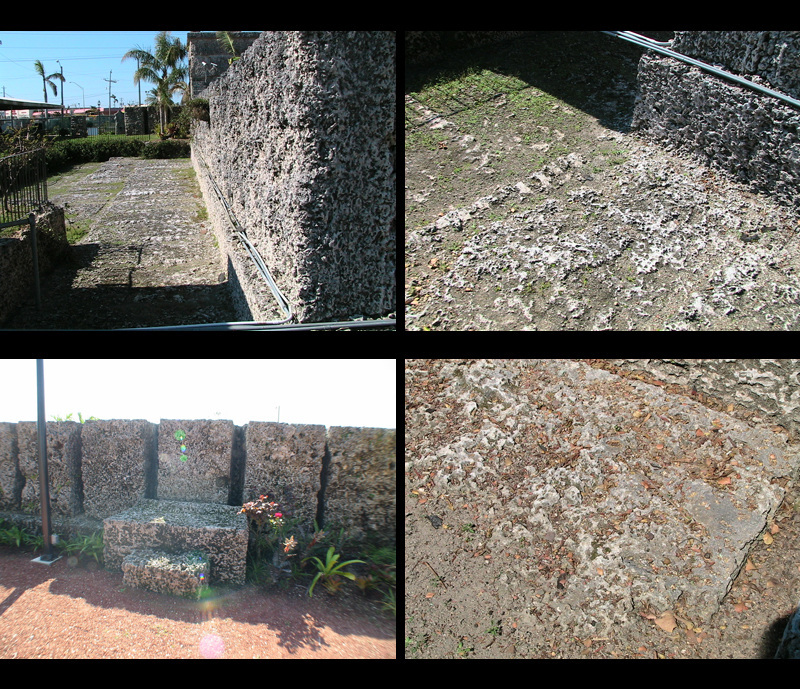 Coral Castle has numerous large blocks weighing in the tons. Most were quarried on site while some were moved from the first location. There is a total of eleven hundred tons of blocks quarried and moved into position by Leedskalnin alone (8). The building he resided in is two stories in height which is built from large blocks weighing in the tons. The guide at Coral Castle Ray Ramirez informed me Leedskalnin was in the process of surrounding the entire site with a wall constructed of blocks but did not complete the task before his death in 1951 (29). In my opinion, it’s amazing how he single-handedly cut and removed each block then managed to transport them into place without the help of any modern day machinery. Some blocks where hoisted two stories and set into place with perfect accuracy (24). When examining the quarry and the blocks there are no signs of chisel marks and in some places the cuts appear very smooth (2). The marks on the blocks were said to be from wedges, but Ramirez informed me Leedskalnin used leaf springs like the ones used for shelves in his living quarters. He said they were pounded into the ground with a sledge hammer to separate the blocks. This method may have been used to separate the blocks but the marks were not present at the bottom of the quarry. On the ground level of the building where Leedskalnin resided, sometimes called “the tower”, he constructed a room to house his tools. Within this room there is a mysterious flywheel which is constructed of concrete and magnets with a clover-leaf shape at the center (25). When holding a compass next to the wheel as it rotates the compass also spins indicating each u-shaped magnet was set opposite in polarity. Next to the wheel there is a metal pole which enters the ground. In the only known picture of Leedskalnin using the wheel it seems he wrapped chains and connected objects to this metal pole as though it had some significant use. The white arrows in the pictures above (bottom left and top right) indicate the location of the pole. 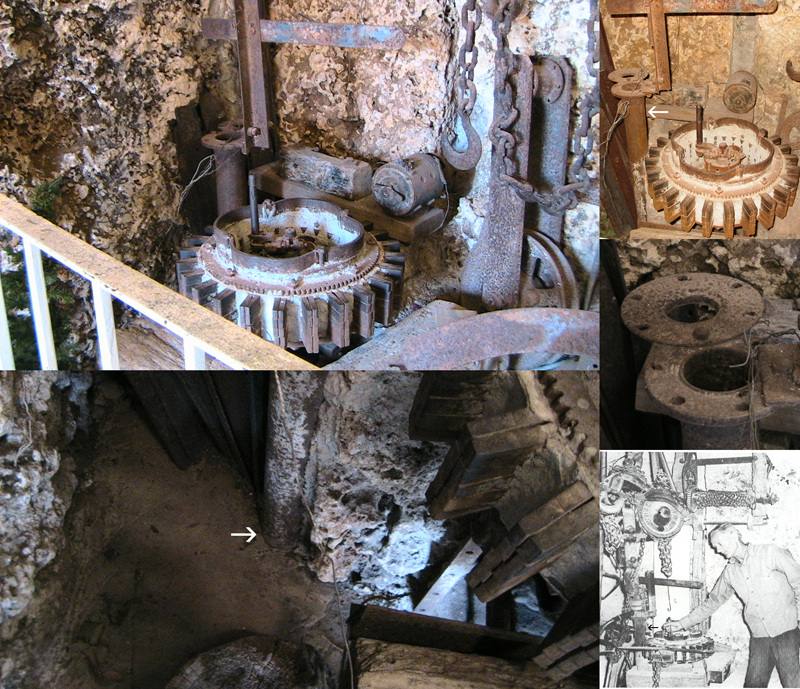 Among the various gears, pulleys, chains and other equipment used for hoisting the blocks there was a great amount of electrical components displayed in Leedskalnin’s tool room (26). 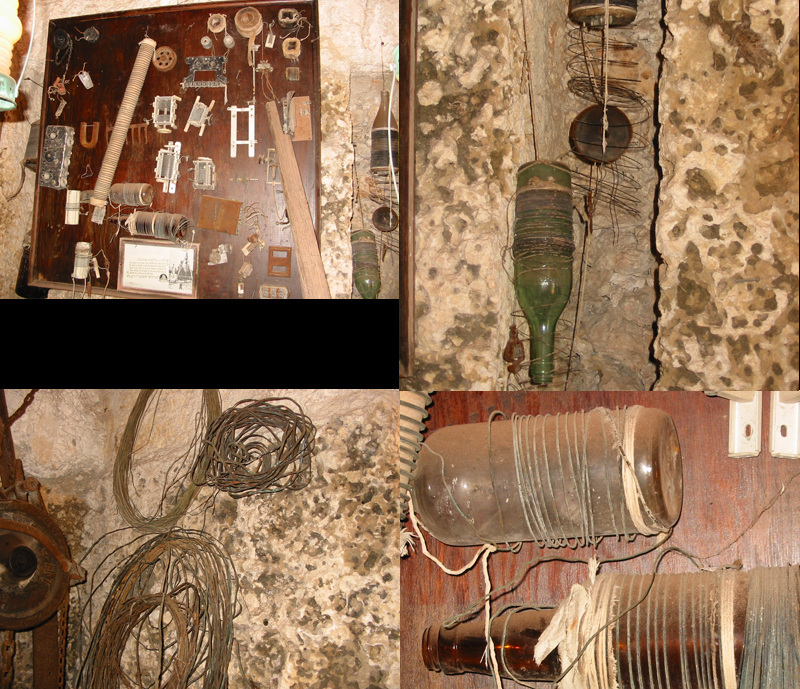 There were glass bottles with wire wrapped around them, rolls of wire and several other components. There is no doubt electricity was one of his main fascinations, could this be a clue to part of his secret? Leedskalnin also used a crystal radio he assembled. It was said the radio was interfering with the signals of a nearby Air Force Base (22). Agents were sent to see him about the radio signals and were impressed by the antenna he had set up. Leedskalnin said he was using the antenna so he could listen to free music and news with the use of his crystal radio (27). Was he using this radio for listening entertainment or was there more to it? Chris Dunn believes radio signals were used to vibrate the coral at resonant frequency while using an electromagnetic field to flip the polarity of the atoms so they would repel the Earth’s magnetic field (13). 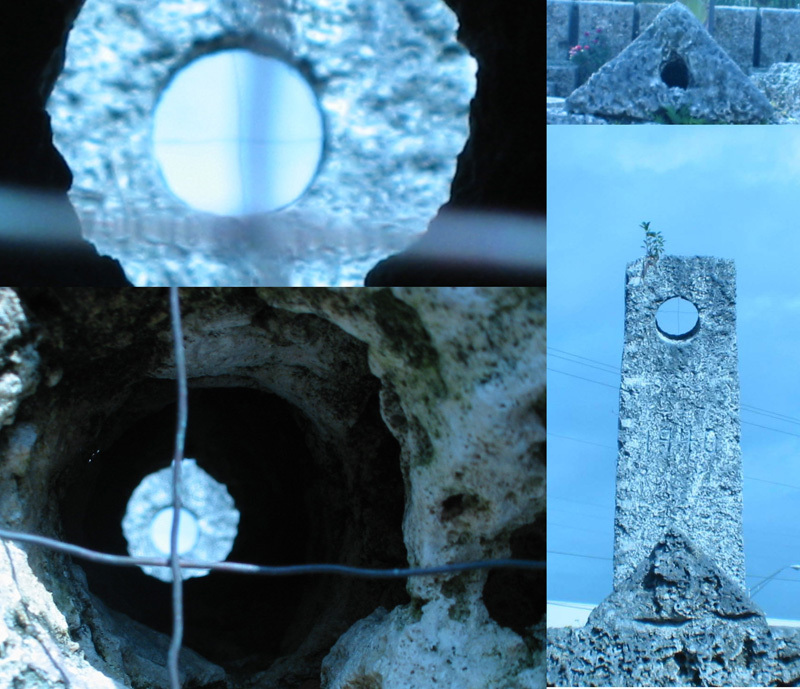 There are many clues in the layout of Coral Castle itself which indicate there must have been a celestial importance. The position of the Earth within the solar system almost seemed essential to Leedskalnin (28). The Polaris telescope, which is said to be twenty-five feet in height and weighing twenty tons, can be used to determine the location of the Earth in its orbit according to the position of the Polaris star within cross hairs. In order to observe Polaris you would have to peer through a hole which is drilled through a block at about eye level. When looking through the hole it aligns with a larger hole at the top of a twenty-five foot block of limestone. The amount of the effort put into this elaborate device should indicate its importance. Not only did Leedskalnin create a telescope he also constructed a very unique and accurate sundial. It can be used to tell the time of day within a few minutes. There are what appear to be two metal bars embedded or concreted in the stone casting a shadow on a looped pattern below. When the shadow of the marker crosses the pattern the time of day can be observed depending on the markers location. The loops are numbered to tell the time on the hour and the numberless loops in-between are for the half hour (30). Not only does the sundial tell the time of day it can also be used to determine the seasons. 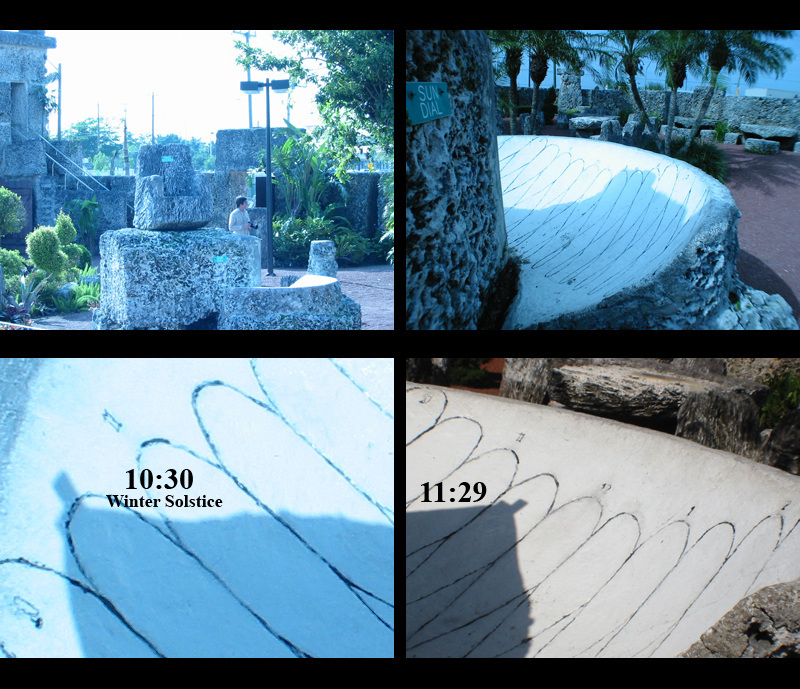 When the marker moves across the bottom of the pattern the Suns position is at the summer solstice and at the top it’s the winter solstice as seen in the image above (note the bottom right image above was taken on November 10th 2005). The Moon pond, or also known as the Moon fountain, was one of Leedskalnin’s creations which is said to be connected to the cycles of the Moon. It’s believed the three blocks used to construct the pond weigh eighteen tons each. With the two crescent-shaped Moons and the full circle in-between, being the pond itself, this is said to describe the cycles of the Moon. Notice the wave pattern which surrounds the six-pointed star at the center of the pond. Could this be his way of describing the Moons orbit around the Earth? With the Moon being connected to the Earth’s tides could the pond have been used in any way to track the cycles of the tides (8)? Alone Leedskalnin set a thirty-ton block of coral limestone then topped it off with a large block placed on two smaller blocks with a stone gable on the very top. Keep in mind, thirty tons is around the same weight as ten average size vehicles. He called the thirty-ton block his “King Stone” and refereed to the gable as the “Kings Crown” (21). He single-handedly quarried, moved and set these blocks in place without any signs of heavy equipment. In my opinion, this feat has not been demonstrated by anyone to this day. It seems this would be beneficial information for any building contractor who is looking for easier and quicker means of transporting huge amounts of weight without any heavy machinery and the use of only one employee. This is one of the reasons I believe there is still an unsolved mystery on our hands. There are statements from witnesses such as a truck driver Leedskalnin had hired to move his blocks from the first site to the present day location. There is also a legend of how children were spying on Leedskalnin and witnessed him floating blocks like “hydrogen balloons” (2). These sightings may not be taken seriously because children told the stories but there were other accounts which were explained by adults. This is a quote from the website http://www.southfloridaonline.com/article_coral_castle.htm – “There are a couple of credible accounts of adults witnessing strange occurrences as Ed worked. The man whom Ed hired to move the stones with his truck stated that he had forgotten his lunch box one morning and went back to the castle to get it. He had only been gone for a half-hour and when he arrived Ed already had several of the monolithic stones stacked on the rails of the trailer like cordwood. He never saw how Ed loaded them; just that Ed had absolutely no heavy machinery that should have been necessary to manipulate such heavy stones; especially that fast” (2). Witnesses have said if they were to approach Leedskalnin while he was working he had a way of knowing when they were close by (21). Some believe a person’s body may have interfered with a possible energy source that was in use. Whatever the reason, it was very hard for anyone to witness how these feats were accomplished (23). Leedskalnin guarded most of his secrets until his death but left clues behind in the form of a few books and articles. If you were to try connecting his writings to the building methods of Coral Castle the book entitled Magnetic Current seems to be the most significant (1). 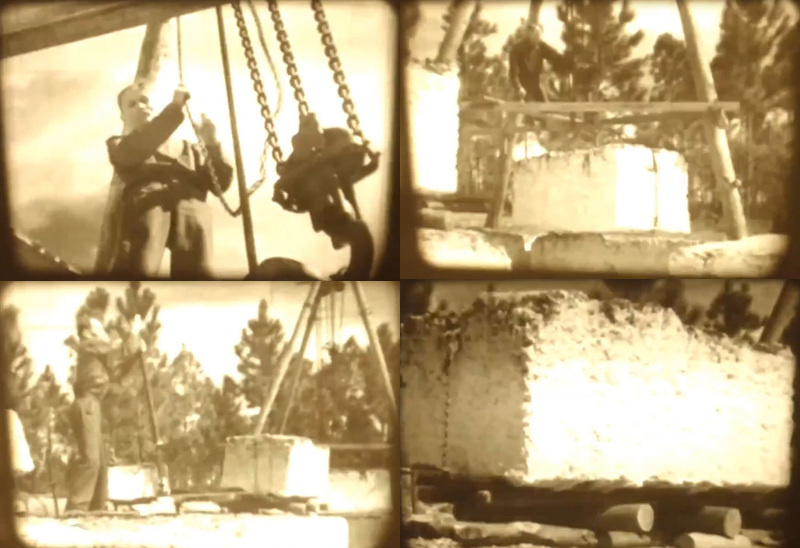 A 1930’s short film shows Leedskalnin lifting small blocks from the quarry using a tripod with chains and pulleys (19). It shows him move the block using logs and a chain with a crank ratchet. This film doesn’t explain how he stacked the blocks over two stories in height or the quarrying and movement of the thirty-ton block. Despite the film showing Leedskalnin working around crowds of people this was not the case by what is said from those close to him. It has been reported in many instances Leedskalnin was considered a private man and did most of his work late at night without any assistance. Also to take into consideration the countless hours he spent creating the magnetic wheel and investigating magnetism, electricity and radio waves. There must have been a really good reason for him to invest so much time into these subjects. When it comes to the building process the only physical evidence it seems left behind are a short film, his books, the tool room and the equipment left on site after Leedskalnin’s death. He wouldn’t allow anyone in his living quarters for reasons unknown (8). Could there be something over-looked or possibly removed after his death? When visiting his living quarters I noticed the windows were in alignment with a compass. There was also a wire running through the ceiling attached to the rafters. It ran back and forth from the front of the room to the back and all the way across. Ramirez informed me it was for his radio to pick up a signal in his room but no one knows for sure. When investigating any scene sometimes the small clues deserve the most recognition. Please keep in mind these are speculative ideas and have never been tested (33). 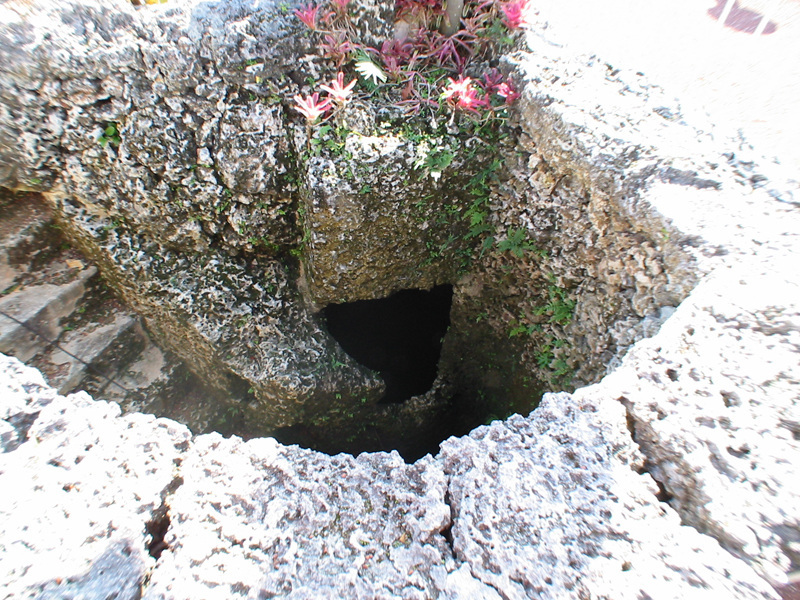 When visiting Coral Castle, back in 2005, I was in search for certain clues of an idea I once had. Knowing Leedskalnin investigated the effects of magnetism and electricity I was on the lookout for certain items connected to this idea which involved electricity. While studying simple circuits and the function of a water battery the idea arose. I often heard about waterways perfectly cut underground at Giza and it is said Angkor Wat in Cambodia is supported by a foundation of subterranean water (17, 18). Taking these accounts into consideration I started to research the idea of running a low voltage electrical current from one metal rod to another using the underground water systems as a conductor. Could this alter the Earth’s magnetic field in the area above the electrified groundwater? Chris Dunn’s idea of using radio signals directed at the location may be part of the process causing the blocks to become lighter (13). If the radio wavelengths were the same size as the object within the weakened magnetic field and reflected off the ground at a very high frequency, could these reflecting radio waves change the weight of the object? The tripods used to pull the blocks from the quarry had a mysterious box on the top which no one has yet to explain its function. As Dunn mentioned, could this box have housed a radio transmitter like the one Leedskalnin constructed out of crystals? When using the electromagnetic spectrum as a reference the wavelengths of radio waves range from the size of a person to about the size of a mountain (31). Could this be why he used radio wavelengths to match the wavelength with the size of the blocks? Scientists use sound waves which travel through air molecules to levitate different materials in a lab, could it be possible to use waves from the electromagnetic spectrum to do the same? An ad from The Miami Daily – by Ed Leedskalnin “The radio waves are made by the North and South pole magnets. They spread around the Earth, and the North and South Pole. Magnets that are coming down from the sun are hitting the radio waves across, and so disturbing their paths. That is the reason why we cannot hear the radio as well in the day time as we do at night. At night time we only get those magnets that are coming down from other suns or stars, but in the day time we get them all” (12). Leedskalnin dug out a well with a stairway next to it which leads to the groundwater below. When searching for land it was said he would ride his bike around the area without any tires so the metal rims would have contact to the ground (15). It seems odd he would ride his bike in this way unless maybe there was a scientific purpose for it. It was rumored this was how he eventually found the site in Florida City where he started extracting blocks from the bedrock. Because of the lack of topsoil it was said he had picked the worse land for plowing in the state as described by real estate agent Ruben L. Moser (Mauser)(23). Bullard explained, after Leedskalnin had found his land he used a “witching rod” to seek out the underground water system and mapped the area where the water ran. It was rumored Leedskalnin did the majority of his work by the full Moon. While researching the Moon and its effects on the tides I found that the same forces creating the tides in the oceans have an effect on the underground water systems as well. After reading an article on gardening and the advantages in planting during a full Moon the explanation of how groundwater is pulled up through the ground during the full Moon made me wonder if this was the reason he worked by the full Moon (4). Could the stairway by the well be used for checking underground water levels or possibly electrical currents within the water? Maybe the gravitational pull of the Moon has a different effect on the underground water while it’s electrified. The only way to know this information would be to experiment on site over a period of time. Leedskalnin wore iron soles on the bottom of his shoes. Joe Bullard received an email from a Sharon Bullard (no relation) who claims her father-in-law was one of the children who witnessed the blocks floating (14). She made the assumption the iron soles were to keep Leedskalnin from floating away while he levitated the blocks. Could they have something to do with him grounding himself to prevent electrical shock? Could this be how he knew someone was approaching because their shoes were absent of metal soles? Upon additional research, in the area of running an electrical current through water, it is a known fact this method coverts water into hydrogen. Because the bedrock of the area being described like Swiss cheese may allow the light gas to pass through in small quantities, could the build-up of hydrogen under the surface effect the weight of the blocks (4, 10)? Because hydrogen is very flammable the source of electricity, the magnetic wheel, should be used away from the area. Could this be why it was stored within the tool room to prevent a possible explosion? Maybe this method of changing water into hydrogen could have been used in combination of a weaker magnetic field with the use of radio signals as already explained. The only way to know if this is possible would be to experiment on the Coral Castle site because of its right conditions. Judging from his writings, Leedskalnin certainly had a different way of looking at nature and science. Maybe this is how he was able to accomplish these amazing feats by practicing different ideas. Was Leedskalnin’s magnetic wheel linked to his secrets? Next to the wheel there’s a pole which runs into the ground (seen in the images of the wheel above). It appears he was rotating the wheel to create an electrical current from the u-shaped magnets which were mounted in concrete. Could an electrical current be running through the pole and into the groundwater underneath? I also noticed a solid metal rod which appeared to be pounded in the ground next to the quarry. Could this have been connected to a wire coming from the wheel to complete a circuit through the water below? If this is the case maybe this was his way of manipulating gravity or a possible buildup of hydrogen (5). Leedskalnin described the Earth as a magnet this quote is from the book Magnetic Current, “The earth itself is a great big magnet” (1). Maybe he figured out a way to weaken the Earth’s magnetic field which could possibly change the force of gravity or the weight of an object on the surface. Here is another possibility; could the electricity running through the water create a complete circuit which can rotate the wheel automatically? If this scenario is possible then maybe it was used as a source of electrical power. Once the weight of the block has been modified the next step would be to lift it from the quarry. Leedskalnin was photographed and filmed using tripods made from telephone poles with a mysterious box mounted to the top. Could this have been a radio transmitter as mentioned before? Maybe it was used to send a radio signal in the proper wavelength and frequency towards the ground causing a repulsive action of high frequency radio waves. Could this weakening of the magnetic field cause the repulsive action to affect the weight of an object in any way? Maybe the radio waves could affect the polarity of the atoms within the block as Dunn mentioned. The thirty-ton block contains a hole at the center of its face. There must have been a purpose for this hole considering the effort it would take to drill it. Maybe it was bored into the ground before the block was quarried. A metal pole could have been inserted in the ground with a wire being fed down to the water below or possibly a solid metal rod like the one next to the quarry today. With the pole being located at the center of the block if hydrogen was produced or a weakened magnetic field this would occur directly under the pole or rod. Could this have been how Leedskalnin lightened the thirty-ton block enough to maneuver it? Maybe the hole was at a perfect balancing point of the block and was drilled for lifting purposes only. Could he have used it to feed a chain through lifting the block with a larger tripod or possibly two tripods? In the images of the thirty-ton block notice the symbol carved into the side of the block which replicates the one on the front metal door. This symbol is thought to represent the summer and winter solstice with the Sun in the center and the Earth at the top and bottom. “21 Earth” written next the circle is an indication of Earth on the 21st which is the date for the summer or winter solstice. Could these days be important for moving the larger stones such as the thirty-ton block? With other clues left behind it seems apparent the position of the Moon, Sun and planets could have played a role in his building methods as well. Using the telescope and sundial he could easily find the location of the Earth within the solar system at any time. This must have been significant and should be taken into consideration. I also read he made the claim the planets and stars were involved with the building methods of the Egyptians. Actual witnesses claim Leedskalnin said the stars and the Moon where involved (23). Whether or not it is true no one can say for certain but its small clues like this which deserve attention. This is only speculation which may not yield any results but hopefully these ideas will help solve some if not all of the mystery. To try this experiment on the Coral Castle site would be ideal but it seems it can be performed in other locations as well. Even though my present area has a perfect underground water system, with high iron content, the land to try such a thing is not available. Experiments on a smaller scale may not yield the same results so the need for a location far from human contact is for the obvious reason of safety. An experiment like this should be performed with extreme caution and preparation should be examined vigorously. Persons of hands-on experience and advanced knowledge in the subject of electricity should be present. I will not take personal responsibility for those not prepared properly which may result in bodily harm or death. As many other experiments performed in mankind’s past there is a danger involved which should not be taken lightly. Please view videos and images from Coral Castle by using the menu or click here to view the first set of images. [Q] Do magnets get weaker? How?